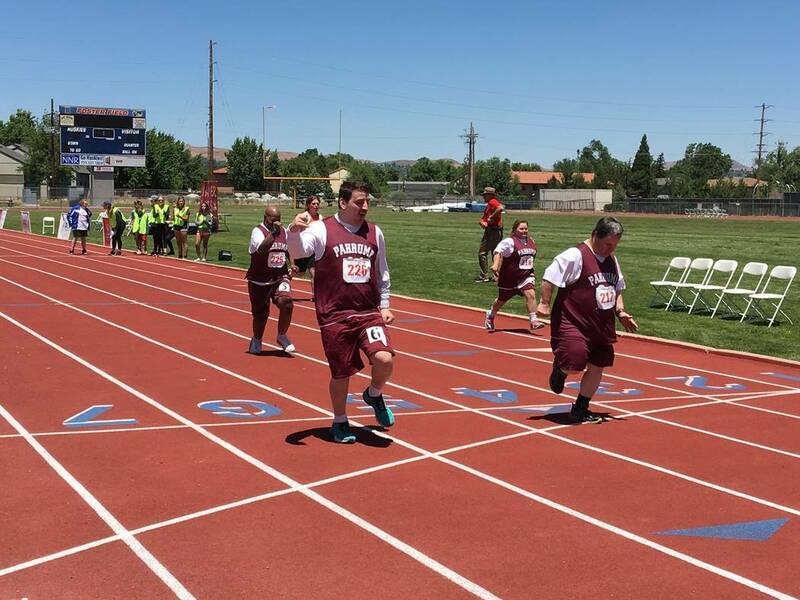 Special Olympics Nevada celebrated its Reno Summer Games on June 9-10, where nearly 300 athletes throughout the state and eastern California gathered for track and field, swimming and bocce ball at Reno High School and the University of Nevada, Reno. Photos by Bobbi-lee Ward/Special to the Pahrump Valley Times Burdett Ward, Michael Turrin and Cory Fitzwater in the 25-meter run at the Special Olympics Reno Summer Games held June 9-10. 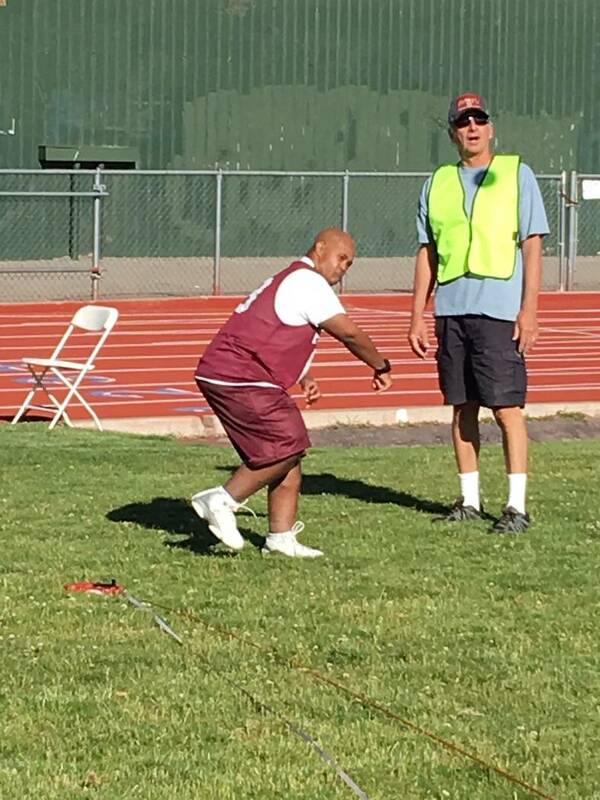 Michael Turrin gets ready to throw the softball at the Special Olympics Reno Summer Games, which were on June 9-10. The Pahrump Special Olympics team represented our town honorably, sending 14 athletes and bringing home 15 gold, 17 silver and two bronze medals. Teresa Klem’s son, Billy, participated in the game and she said he had a really good time. “Billy went; he got a second place, silver medal in both the long jump and the 200-meter run,” Teresa Klem said. Jim Soltz said his daughter Samantha also had a great time. Kellye Dorrough was in three events, the softball throw, the 25-meter dash and the 100-meter walk, taking silver in all three. She said she too had a great time. Soltz said since the Reno games added bocce ball, it meant they could send one more athlete to the games.